Declaring bankruptcy during divorce or following it adds another wrinkle to a situation that may already include alimony. Bankruptcy and alimony do not work well together. Sometimes called spousal maintenance, alimony is support provided by one spouse based on an agreement between the divorcing couple or a decision made by the court. Alimony is designed to limit any unfair economic impact of divorce on an ex-spouse who earns much lower wages than the other. Only an experienced bankruptcy attorney can tell you exactly what impacts bankruptcy has for your particular situation and whether bankruptcy can get rid of alimony. Courts have much discretion regarding the award of alimony, its amount, and its length. Many states base their spousal support statutes on the Uniform Marriage and Divorce Act. This legislation recommends that courts consider aspects like the length of the marriage, standard of living, length of time the receiving individual will need to become self-sufficient, and ability of the payer to support him or herself and the recipient. Because of these factors, there are instances where bankruptcy can get rid of alimony or a portion of it depending on your circumstances. Bankruptcy and alimony are tricky subjects. Alimony is not usually permitted to be discharged in bankruptcy. The payer must pay alimony in full, except under two circumstances. If the divorce decree classifies a financial obligation as an alimony payment but this payment is really for something else like marital debt, it may be possible to discharge the payment in bankruptcy. The second exception occurs when an alimony obligation is assigned to a third party. For example, if the payer does not make alimony payments and the receiver assigns collection rights to another party in exchange for receiving the money from that third party, the payer may be able to have the alimony discharged due to this assignment. Therefore, alimony recipients should carefully consider assignment of this obligation to a third party. 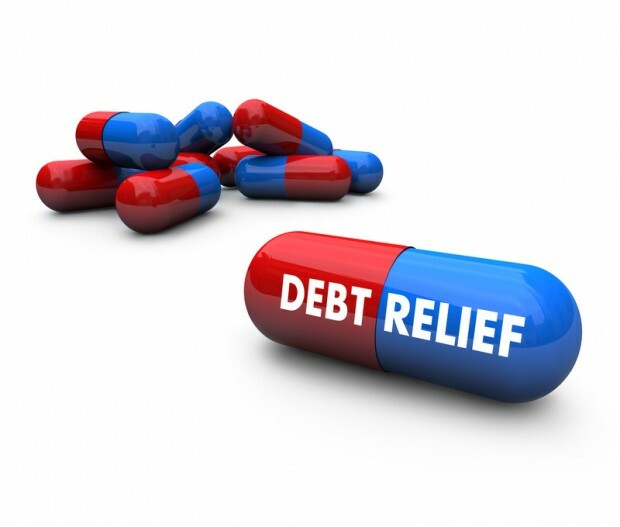 An ex-spouse may be forced to file for bankruptcy due to nonpayment of daily living expenses. Others use bankruptcy as a way to avoid obligations within the divorce decree. Though the automatic stay in a bankruptcy prevents creditors from demanding repayment of debt, it does not prevent a former spouse from filing or continuing a lawsuit to create or modify alimony awarded in a divorce decree. The courts may even be used to collect unpaid alimony. This is where a a difficult situation occurs concerning bankruptcy and alimony. Under the Bankruptcy Abuse Prevention and Consumer Protection Act of 2005, unpaid alimony and child support claims are provided priority over other creditor claims including taxes. An ex-spouse owed back alimony should file a proof of claim with the bankruptcy court handling the case. The law also requires the bankruptcy trustee to provide this individual with written notice of the bankruptcy and its discharge. Bankruptcy and alimony are like oil and water, knowing your rights and speaking with an expert bankruptcy attorney is the best way that you can find out the details on your particular case. How do i know what happens if my ex husband is going to file bankruptcy? He lost his job, and i have not gotten an alimony payment in over 6 months. If the court approves his bankruptcy, will that mean the alimony that he owes me for the past 6 months will be erased? I need this alimony, I only work part-time because I have a disability and I rely on his alimony payments. I’m 54 years old. Bankruptcy and alimony is a difficult situation to find yourself in especially when you rely on those payments. Every state has different laws and regulations for dealing with his situation and in some instances, a portion or all of the alimony owed to you may be discharged in bankruptcy. Only speaking with a bankruptcy lawyer for a free consultation is the way to find out what your rights are. You may need to intervene in his bankruptcy case and you will need a bankruptcy attorney to do this for you. My hubby and i moved to a different area, He got a job after 3 months, went into court to see if his spousal amt could be lowered because he was not making as much money in this job, the courts ruled NO! because they said he should have stayed at his other job and not moved! Where are our rights here to freedom? as people to be happy? We moved to this new place because it was rural and cheaper to live! And house payments were lower, and my dad who is 89 yrs needs help, lives here after my mom passed away! We have even had to file bankruptcy, His ex gets close to half his check! i need help on how to stop this or lower it! My hubby is 66yrs and can’t even think of retiring with this going on! MN divorce laws need to be changes and updated! What happened with Womens Rights?